Kickstarter is an awesome way for publishers and designers to get their projects off the ground and into the market. The amount of money collected by some of these now is huge and amazing to see. 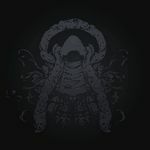 This list is something of a sequel to a previous list, which has stopped being updated due to kick-starter being overrun by miniatures projects. I'm less concerned by that issue, and will strive to keep this list updated for as long as I can. As you look over these projects, please be aware that a these are gross funds. Amazon.com, Kickstarter, and shipping has to be paid. Also, added costs associated with bonuses have to be subtracted from the total. PLEASE NOTE: Games below the top 10 are games that have fallen out of the top 10 games and are now Zombie zombie entries. 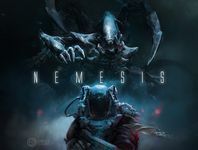 Any games that have subsequently raised enough money to exceed one of the zombie entries listed but that have never actually been in the top 10 are not in this geeklist. Games outside the top 10 remain on the list for historical reference only. I'll be updating this page some more, but for now each item has basic information. If you have any suggestions or requests for specific things to be included for each entry I'd love to here it so please comment! Also if I have anything wrong I'd love to hear about that too so I can correct the issue, thank you. 2014 Kickstarter Board Game Projects - This geeklist tracks the latest board game projects on kickstarter to make them easy to find. It tells you new additions and which projects are funded, making it easy to find what you want at a glance. 2015 Kickstarter Board Game Projects - The 2015 version of the above! 2016 Kickstarter Board Game Projects - The 2016 version of the above! 2017 Kickstarter Board Game Projects - The 2017 version of the above! 2018 Kickstarter Board Game Projects - The current Kickstarter board game projects list! 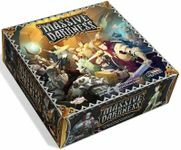 Stonemaier Games Blog - This amazing blog maintained by Jamey Stegmaier provides useful information about everything to do with running your own board game projects. Anyone thinking of trying to use the platform should definitely read through all the lessons here! 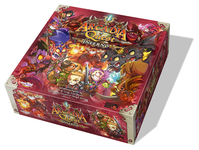 $750 - Ancient Gold Lantern - The Core Game 1.5, Gamblers Chest + All 12 Current Expansions. 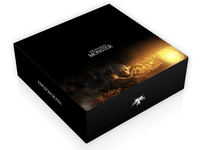 Designed specifically for the Dark Souls™ universe and introducing a number of innovative gameplay mechanics, with world-class miniatures faithful to the rich universe, this game aims to deliver an experience that captures the very essence of the original video games. £80 - Souls Pledge - This nets you the game and all stretch goals! Final Funding - $5,425,000 (Conversion via Google at kickstarter end). $120 - Horde Pledge (Core, Exclude Feral Dragon Pack + All Unlocked Stretch Goals). 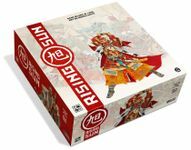 £133 - All In (Core Box + Stretch Goals + x2 Expansions). $100 - Daimyo - The Game, an exclusive monster & stretch goals. 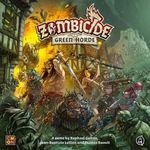 The newly re-themed, badass medieval version of Zombicide has shot onto kick-starter and flew straight onto this list in a single day, and is climbing quickly! $100 - Huntsman - This nets you the game, a few little extra's and all stretch goals! $150 - Knight - Huntsman, plus the 'Wulfsburg' expansion pack! An the improved version of Gloomhaven, a cooperative card-driven game of combat in an expansive campaign. 1-4 players, 30 min/player. $99 - A copy of Gloomhaven from its' 2nd print run. Final Funding - $3,560,643 (Conversion via Google at kickstarter end). 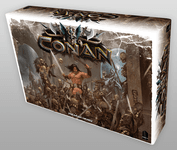 Conan is a miniature-based board game that pits one player, the overlord, who controls hordes of savage tribesmen, no-good lowlifes and undead minions against 1 to 4 players who incarnate the legendary Conan and his fellow adventurers. $90 - Barbarian Pledge - This nets you the game and all stretch goals. $135 - King Pledge - A deluxe version of the game, plus all stretch goals. $10-20 - Various small mini packs. $99 - God Pledge - The game, an exclusive extra mini + cards & all stretch goals. 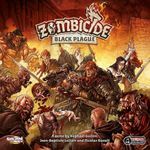 This project offered up the sequel/expansion to the 2012 hit Zombicide, which still features lower on this list. $100 - Inmate - This net you the Prison Outbreak standalone, zombie dogz. Stretch goals start here. $150 - Fugitive - Inmate + Toxic City mall and the 1 or 2 stretch goals not included with inmate. 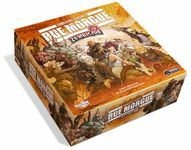 $220 - Raise the Dead - Fugitive + the original Zombicide Game. $100 – The Game - Base game level with a bonus digital artbook. Stretch Goals Start Here. $155 – Survivor - The Game + 2 exclusive figures and a T-Shirt. $295 – Deluxe Survivor - The Game + 2 exclusive figures and the first four starting figures as collectors versions in resin. The latest game from the fantastic mind of Jamey Stegmaier, of Stonemaier Games. 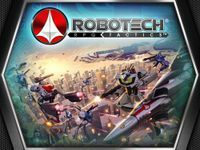 "Create an empire with monstrous mechs and industrious workers in this alternate-history, 115-minute board game for 2-5 competitors." $119 - Art Connoisseur Scythe - Above + Book of Jakub's Brilliant Artwork. 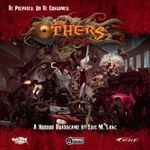 $100 – Hell of a Pledge - A copy of the game, an exclusive hero, plus a huge pile of stretch goals. $9-19 - Various Token/Dice Packs. Are you troubled by strange noises in the middle of the night? Do you experience feelings of dread in your basement or attic? Have you or your family ever seen a spook, spectre, or ghost? If the answer is "yes," then don't wait another minute. Pick up the phone and call the professionals. $80 - Paranormal - The game + applicable stretch goals. $125 - Mass Hysteria - The game, + extra stuff including a super-size stay-puft marshmallow man! + applicable stretch goals. $12-15 - Various small mini packs. $5-12 - Various tile packs. The end of the Multiverse! Featuring the final SotM expansion and packs of every variant card ever. $399 - The Entire Multiverse - Entire line-up of SoTM card game products. $25 - A copy of the Game. $100 - Faith - This nets you the game, a few little extra's and all stretch goals! $80 - Base Game level. $150 - Cultist - Base game level with a bonus digital artbook. Includes most stretch goals. $240 - Cultes Des Goules - Cultist + Opener of the way expansion, 1st player marker, 12 dice and 16 plastic miniature gates. $525 - De Vermiis Mysteriis - Get all gameplay items. $75 - Prospector - Choose 1 of the 2 core sets, and get the art book and a signed print. $150 - Outlaw - Both Core Sets, Exclusive Hero, art book/print. Stretch goals start here. 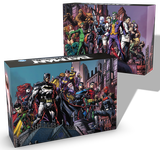 $225 - Deluxe Outlaw - Outlaw + an additional set of hero/enemy figures from the core sets. $475 - Minecart - Deluxe outlaw + all add-ons marked with mine cart icon. I.e. the everything level. $10-30 - Various Enemies, right up to XXL size. >And then straight up into 5th, as it sails past the clump of projects stuck at the early $900,000's! > Shadows of Brimstone edges it's way into 4th place in it's final day of funding, congratulations to the FFP team! $150 - Strike Team - Recon + a few art extra's. Stretch goals start here.